Most everyone has a passion for pizza, but only New Haven lays claim to the Holy Trinity of pizza joints, with Sally's, Pepe's, and Modern. They are not only a cornerstone of New Haven's Italian-American heritage, but also the establishments that set the bar for this immediately recognizable comfort food. National polls agree: these are the pizzas by which all others are measured. Filmmaker Gorman Bechard (WHO IS LYDIA LOVELESS?, IFFBoston 2016; COLOR ME OBSESSED, IFFBoston 2011) tells the story of the evolution of this modern-day food staple, the only pizza that can really be called "apizza." 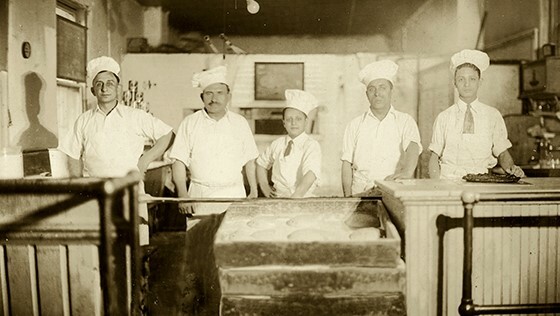 From the rusted wheels of Frank Pepe's bread cart to the black charcoal on your very own fingertips, take a journey from old-world Italy into present-day New Haven. PIZZA, A LOVE STORY is a tale not only of three restaurants, but of three families with the power to polarize, captivate, and delight. As we say, pizza wasn't invented in New Haven. It was perfected there. Just wait 'til you get a taste.